in-toto is all about people, choice and the personal touch. We invite you to see our kitchens for yourself and meet your local designer at one of the 50 studios nationwide. Every in-toto owner is experienced with listening to your requirements and creating kitchens with love in every detail. Studio Manager, Amanda Farley is a professionally qualified interior designer. 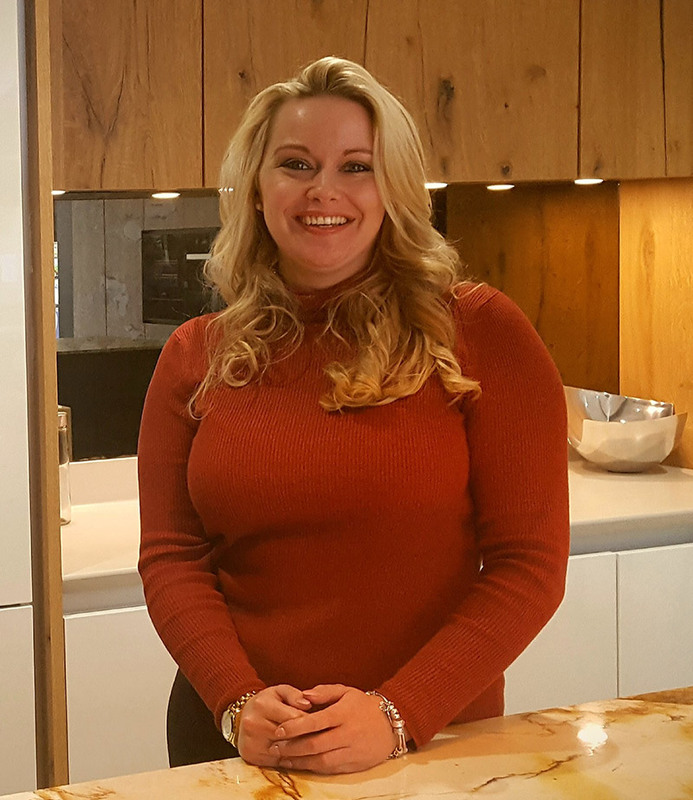 With a proven track record over 23 years, she has been specialising in quality high-end kitchen and bathroom design for over 13 years and has been an accomplished retail manager for over 7 years. Previous experience includes showhome design, full scheme commercial projects to include Honda manufacturing and Group 4 technology and projects working closely with builders, architects and designers – together with domestic clients. Amanda is skilled in producing interesting designs, with unique ideas and solutions tailored to the client’s individual taste and requirements. My primary goal is to understand my customers and their requirements, so I can design a space that is as functional as it is beautiful whilst working to all budget requirements. 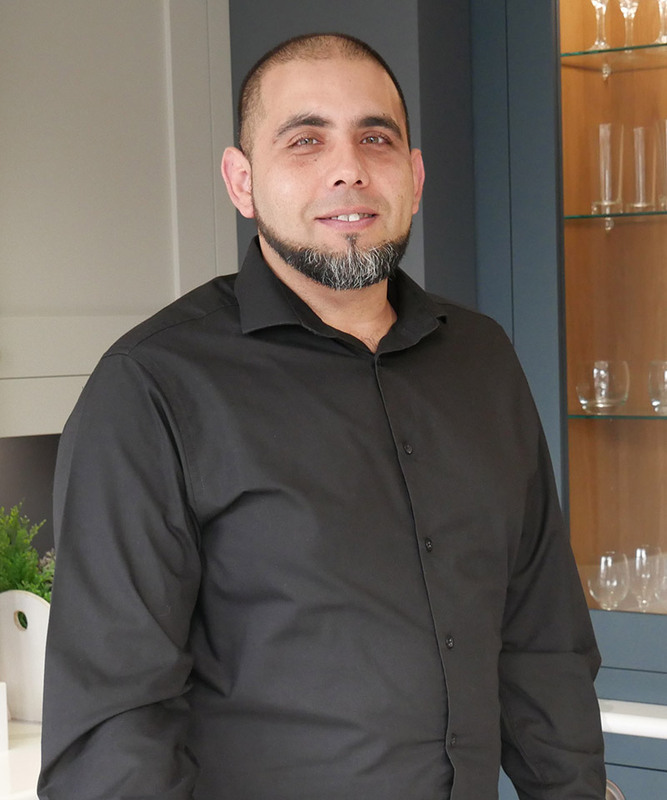 Whether it’s for a new home, an extension to create a bit of extra space or a new project or renovation, I would love to help you create your dream kitchen and living space. At in-toto we offer a free design and project management service. Our aim is to keep the whole process exciting and stress-free. Together with our in-toto expertise of of over 35 years’ in the industry and your ideas we can create a kitchen as individual as you are. 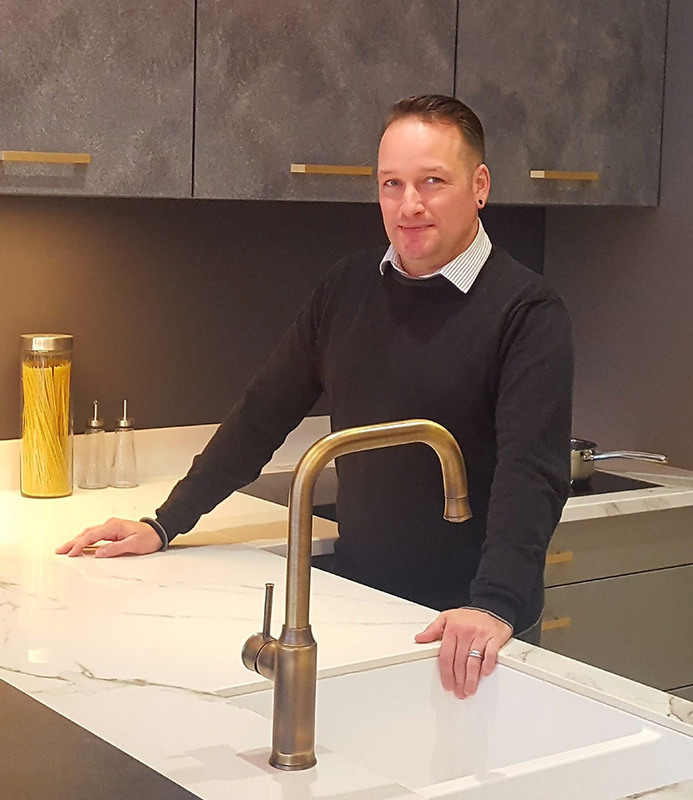 My Name is Brad and my passion for kitchen design started about 19 year ago when I landed my first industry job at a local kitchen & bathroom studio as a trainee designer. With a keen interest in property and design, this field is perfect for me. I love the opportunities you get to be creative and no two customers are the same. I enjoy working with each individual customer to make sure they get the perfect design. I pride myself with being able to ‘think outside the box’ and present something to the customer they have not seen before. 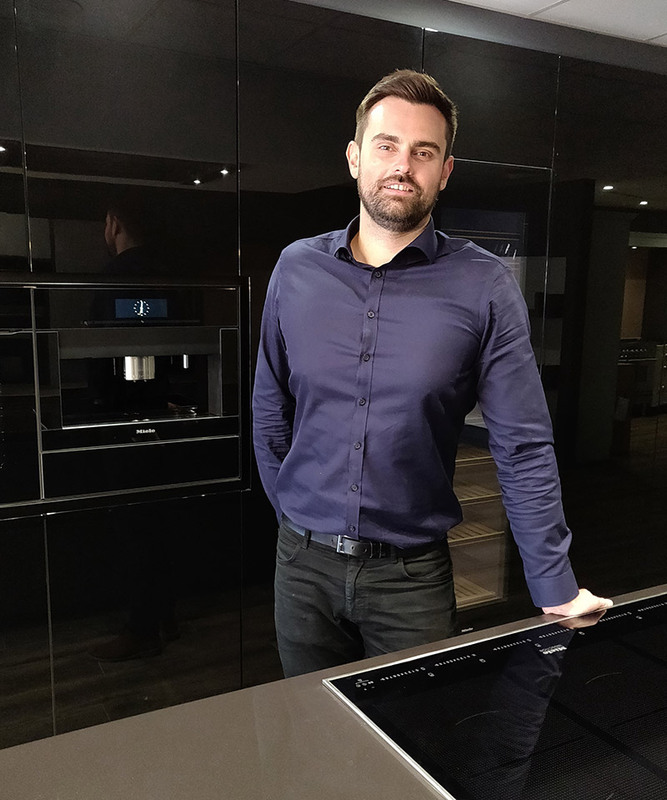 I have been involved in the kitchen and bedroom industry for the past 10 years, although my interest in the arts started much earlier than that, obtaining a bachelor’s degree in Design from award winning Falmouth University in 2005. I have worked for three kitchen studios during my career ranging from bespoke high street retailers to specialist building centres. I have always received fantastic feedback from the wide and varied customer base I have worked for and pride myself in being able to think creatively while still maintaining a strong level of product knowledge. My role at in-toto kitchens involves dealing with all aspects of designing and pricing kitchens, from survey to completion. I consider myself to be a kitchen specialist. I have a passion for unique projects and strive to offer the best possible results for every customer. I am a qualified architect, specialising in bespoke kitchen and interior refurbishment projects. With six years of experience gained in KBB showrooms and bespoke kitchen furniture manufacturers, I am an extremely capable CAD designer with an eye for detail and ability to find solutions through creative design. Organised, analytical and methodical, I am always striving to provide excellent customer service for highly discerning clients. 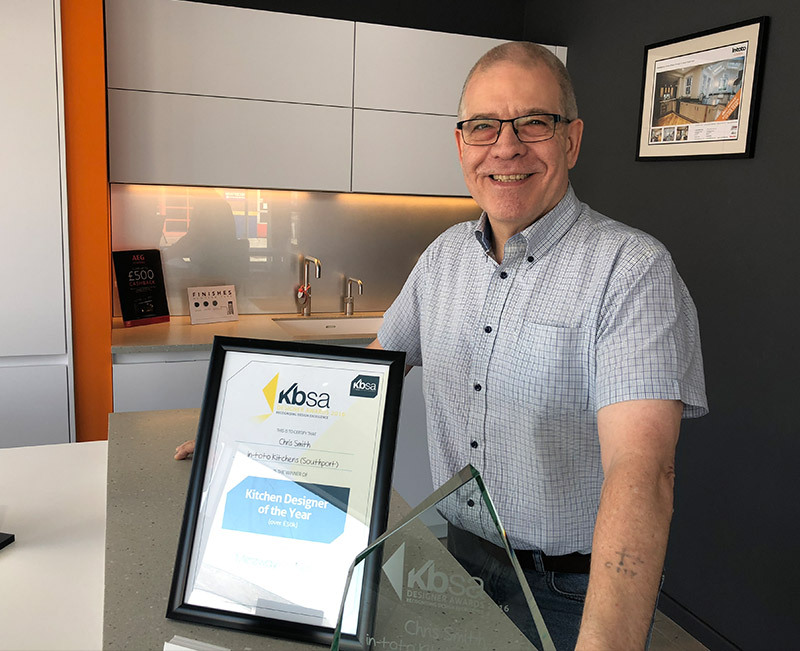 I have an extensive knowledge within the KBB industry from working for a kitchen manufacturer in the past. 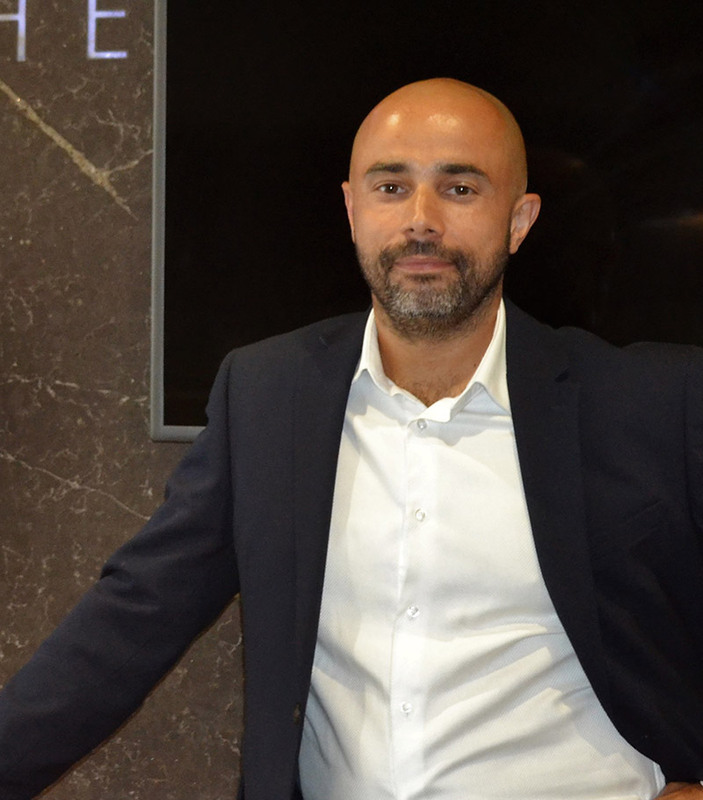 My experience has allowed me to gain in-depth knowledge in seeing the manufacturing process of products, completing site surveys, through to design implementation and project management. I am very passionate in creating a vision to surpass customer expectations by working closely with architects, developers and various trades to ensure a smooth execution of every project to meet each individual client’s needs. I have 14 years’ experience in the kitchen industry, entering straight after education. I have experience designing and installing kitchens, this leads me to design kitchens that practically work with the customers room as well as creating a visually pleasing kitchen. From leaving school I designed at a large blue-chip retailer working my way up to the high-quality product in-toto provides which gives me great knowledge of what’s available on the market, how different product compare and able to design to any budget. I like to keep up to date with current fashions and strongly believe in using social media to keep on trend. I have spent the last 18 years working within the kitchen design industry. 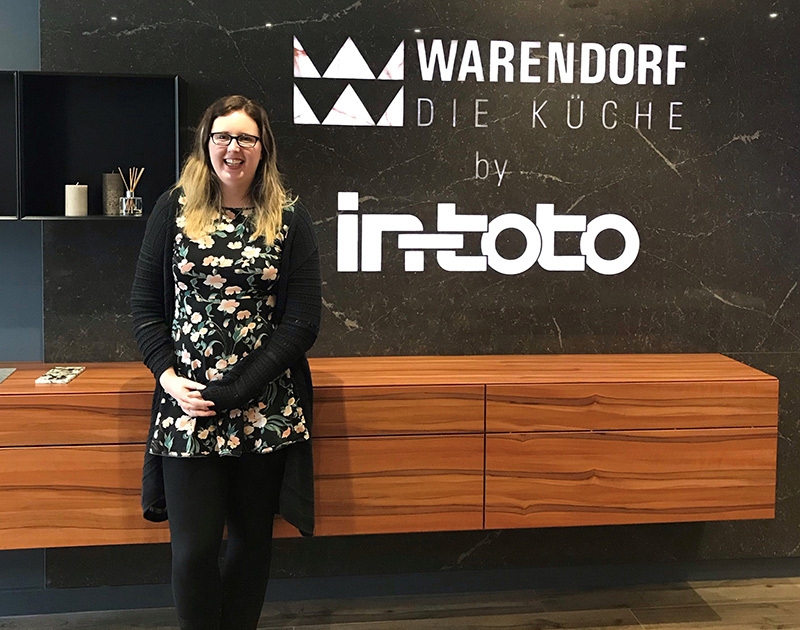 Now managing the new showroom WARENDORF by in-toto Weybridge, together with designer Rosie, I am is looking forward to transforming dream kitchens into reality. Rosie Souter is a kitchen designer for Warendorf by in-toto in Weybridge. With a degree in product design, Rosie spent the start of her career designing a variety of furniture products for the home. 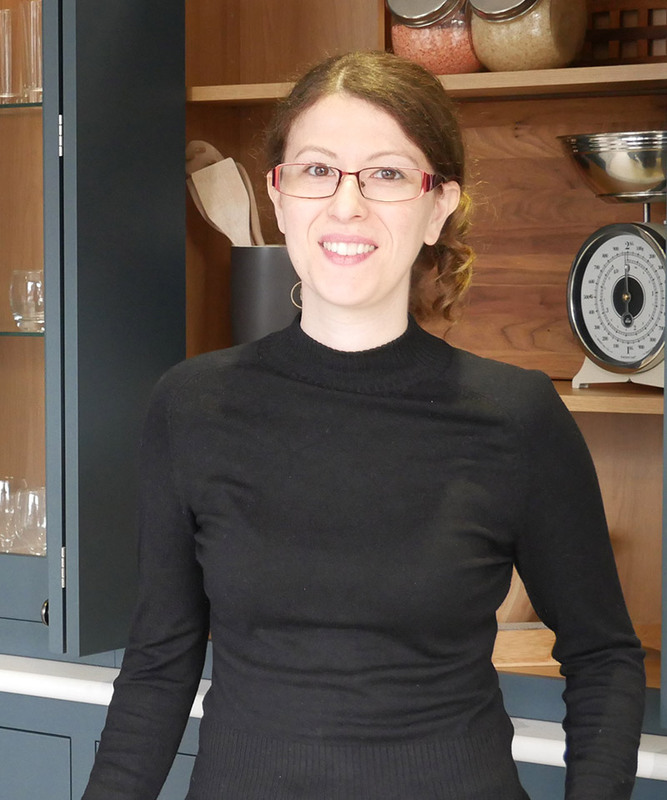 Having transitioned into kitchen design 18 months ago, Rosie’s background allows her to realise kitchen solutions as unique and versatile as her clients. Creating useful and beautiful kitchens in even the most complex of spaces. Rosie is committed to staying up to date with design trends to incorporate them into client-focused spaces. When she’s not designing kitchens, you’ll find her in a rowing boat on the Thames or curled up with a good book.